The foundation squares went together very nicely however there were a few squares where the fabric was a bit short of the seam line ... one of the small traps in foundation piecing!! 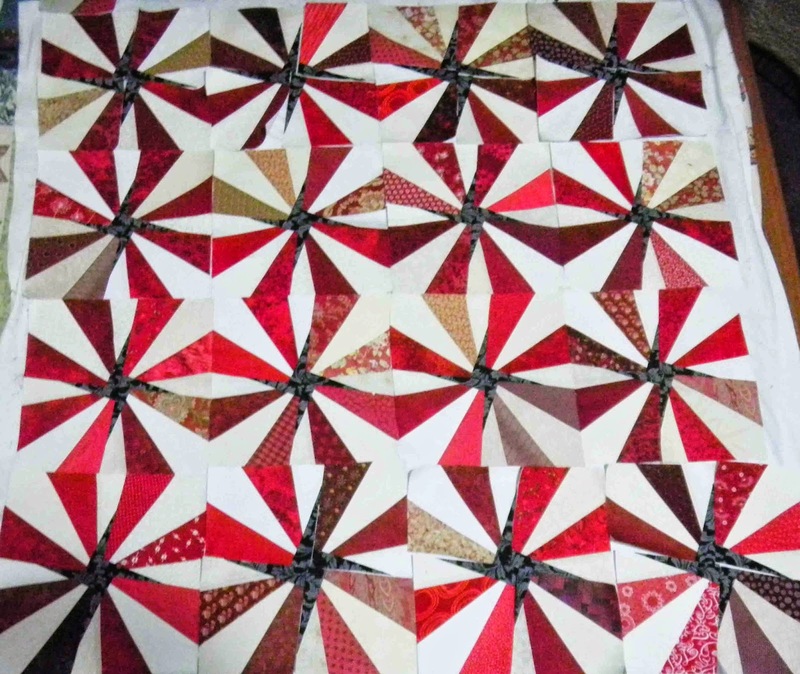 We have 16 blocks so far and I know there are a few more to come .. so we anticipate a quilt of 20 blocks !!! Here are the 16 blocks so far, laid out (only some are stitched together) so you can really see the pattern emerging!! 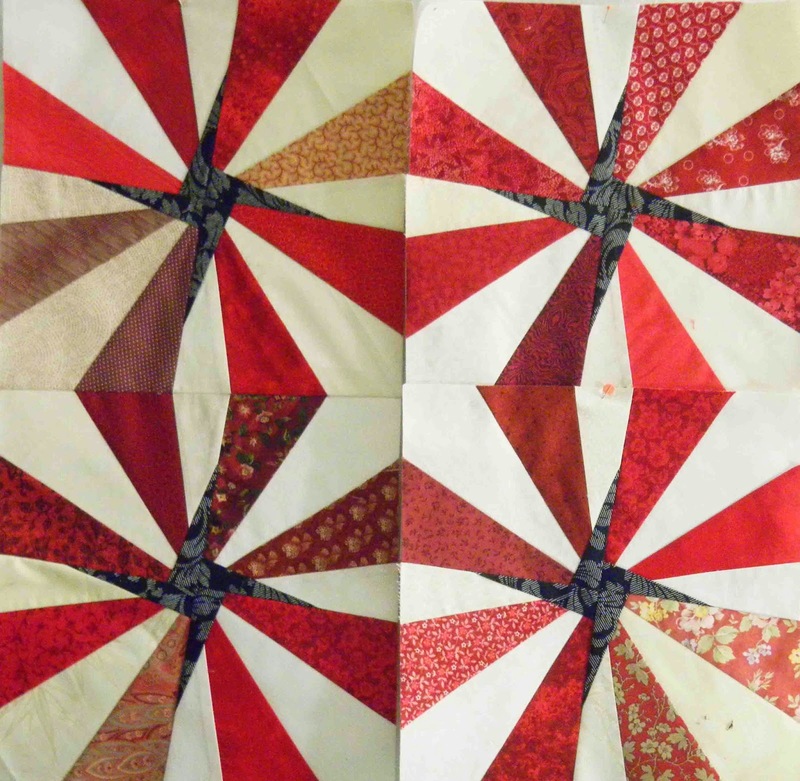 The plan is to finalise the layout and borders at the July sewing day so this is the final call for any foundation squares ... bring them to the June Meeting if possible!! !